Introducing WJ’s new drilling rig! Last week WJ took receipt of a new Soilmec SM14 drilling rig. A welcome addition to WJ’s already extensive fleet of drilling rigs both in the UK and across the world! 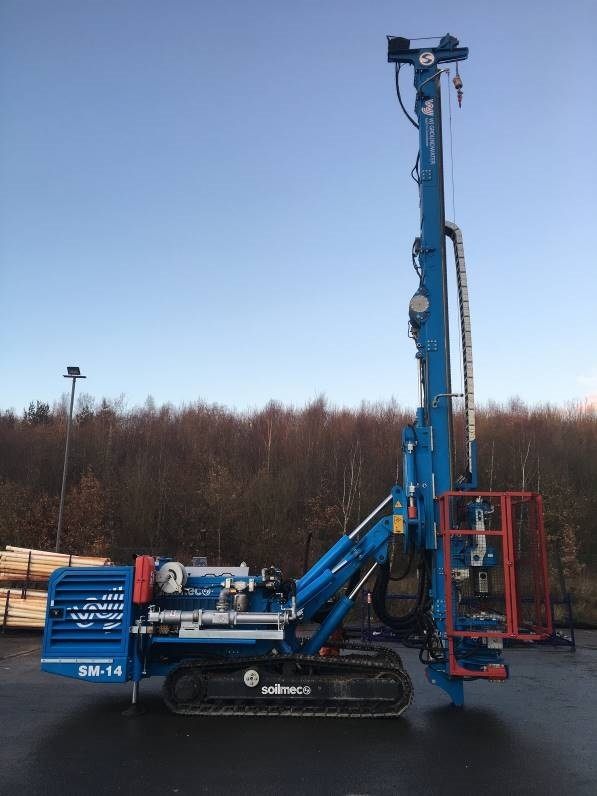 Soilmec are internationally renowned and respected suppliers of drilling rigs, who WJ have had a long partnership, and the SM14 is the latest addition to our fleet, a fleet which already contains several trusted and reliable Soilmec drilling rigs! The SM14 is a compact and versatile tracked rotary drilling rig that allows WJ to continue to provide excellent efficiency and high quality service to all of our customers, allowing us to work in a wide variety of environments from tunnels, shafts and basements to wide open spaces. The rig is fitted with a variety of safety features, including a rig guard cage and radio remote control, to ensure the high levels of health and safety that WJ strive for on all projects can be maintained. 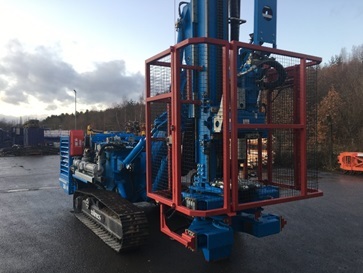 The rig is perfectly designed to work on a wide range of WJ projects, including wellpoint, deepwell and ejector well dewatering system installations, and will be out on site soon where it will be put through the paces by our team of experienced drillers. For more details on the services WJ offer please visit our Services Page, or contact our head office on 020 8950 7256. 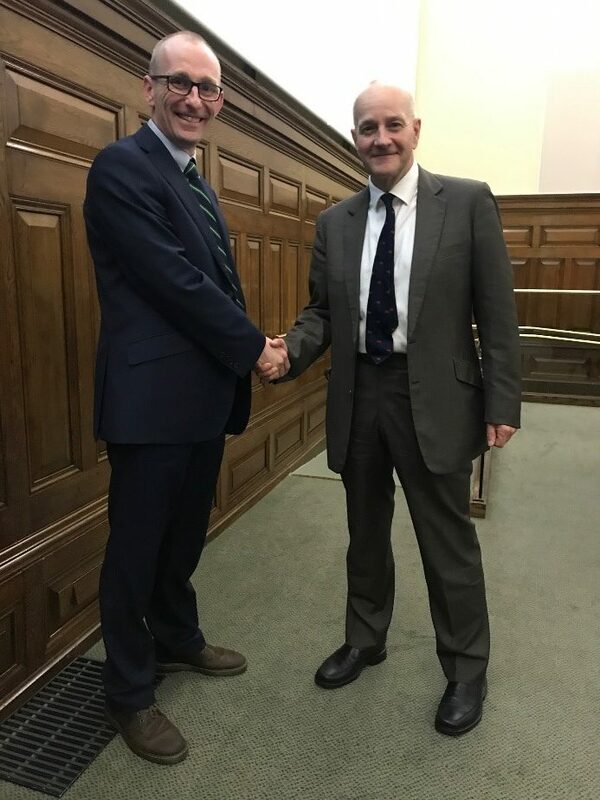 On Wednesday 6th December, WJ Groundwater’s Chairman, Dr Toby Roberts, was invited to present the keynote speech at the award ceremony for the illustrious Fleming Award, at the Institute of Civil Engineers in central London. The Fleming Award, won by WJ in 2006 for their works on the Govan Tunnel project in Glasgow, is an annual award presented by the British Geotechnical Association to recognise excellence in the practical application of geotechnics as part of a larger project, with a strong emphasis on teamwork displayed by the various disciplines across the project team (For more information on the Fleming Award visit here). 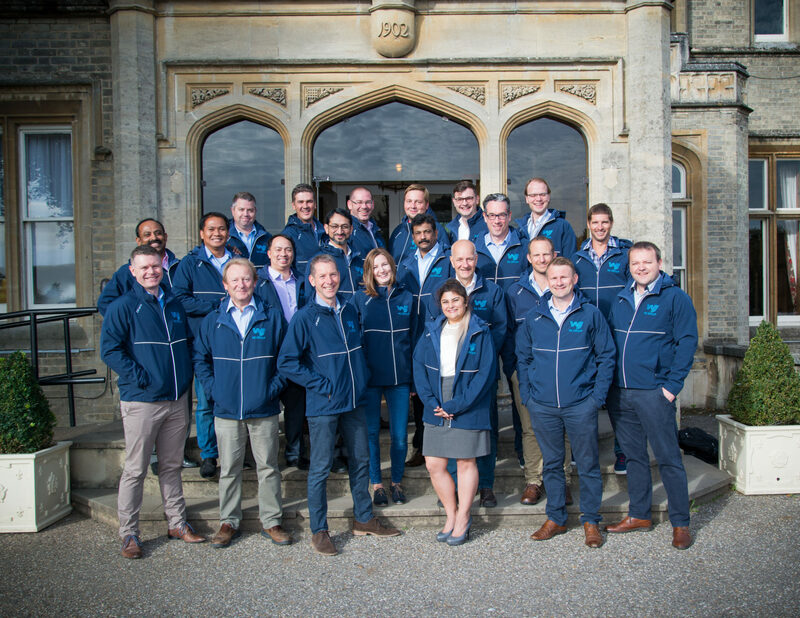 The 2017 award was presented to the PISA Project, comprising Oxford University, Imperial College London, DONG Energy, The Carbon Trust and SOCOTEC UK (For more information on the 2017 Award visit here). Dr Roberts was invited to present the prestigious keynote speech at the ceremony, taking place whilst the judges deliberated over who the award should be presented to. The speech, entitled ‘Groundwater control for excavations in Cork, Ireland’, covered a series of dewatering case studies from the extensive redevelopment of Cork over the past 20 years. WJ have a long history of working and providing dewatering in Cork, having undertaken more than a dozen projects during this time period, including the recent Navigation Square and South Mall developments on the River Lee in the east of the city. For more information of Dr Roberts’ talk please visit the British Geotechnical Association website here. UK Project Update: WJ Groundwater’s most northerly job yet! WJ Groundwater’s dewatering project for Pat Munro Ltd is its most northerly job yet. Since opening its office in Scotland in late 2015, the brand has been expanding rapidly and we’re ever so pleased to break into the Scottish Highlands with a project in Dornoch. WJ as seen on TV!